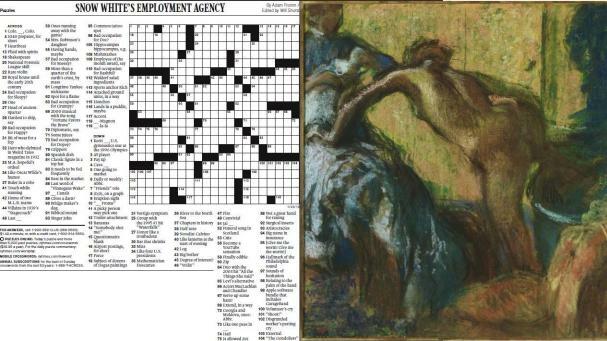 (Left) New York Times Crossword, Sunday, January 22, 2012. (Right) Hilaire-Germain-Edgar Degas, After the Bath, circa 1895, Pastel on paper; 30 1/2 x 33 1/8 in. ; 77.47 x 84.1375 cm. (sight). Acquired 1949.